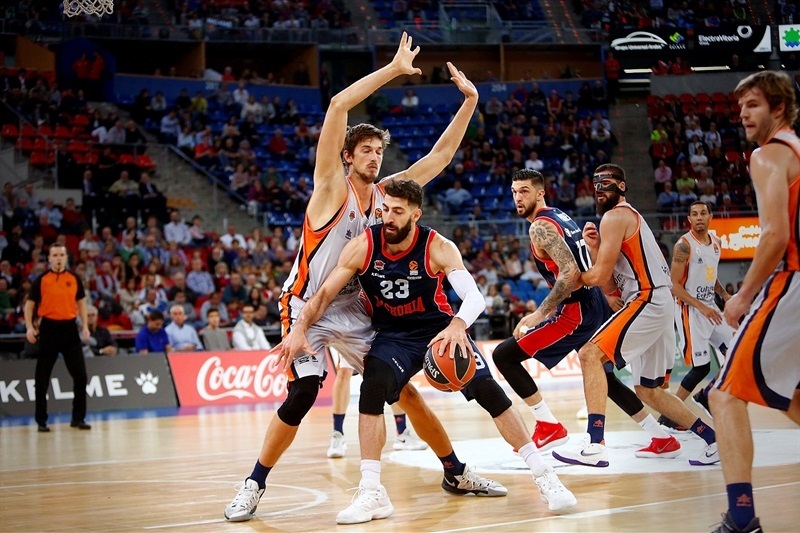 In the first All-Spanish showdown in the 2017-18 Turkish Airlines EuroLeague, Valencia Basket registered its first road win by downing Baskonia Vitoria Gasteiz 63-80 at Fernando Buesa Arena on Wednesday. 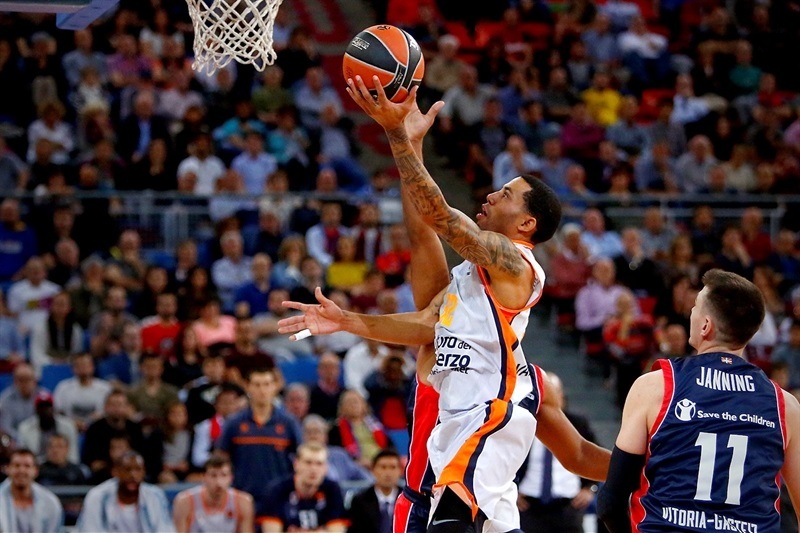 Valencia improved to 2-1 in the regular season, while Baskonia dropped to 0-3. 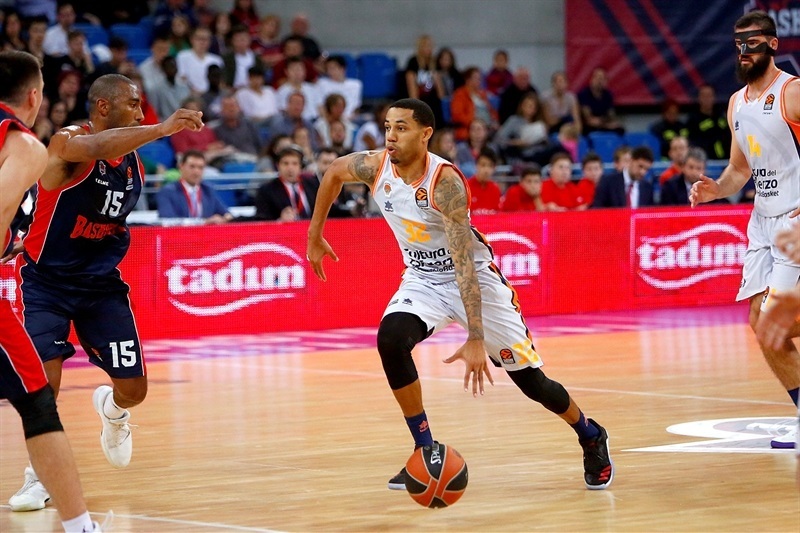 Erick Green and Tibor Pleiss led the winners with 15 points apiece, Alberto Abalde had 13, Bojan Dubljevic added 11 while Rafa Martinez got 10 for Valencia. 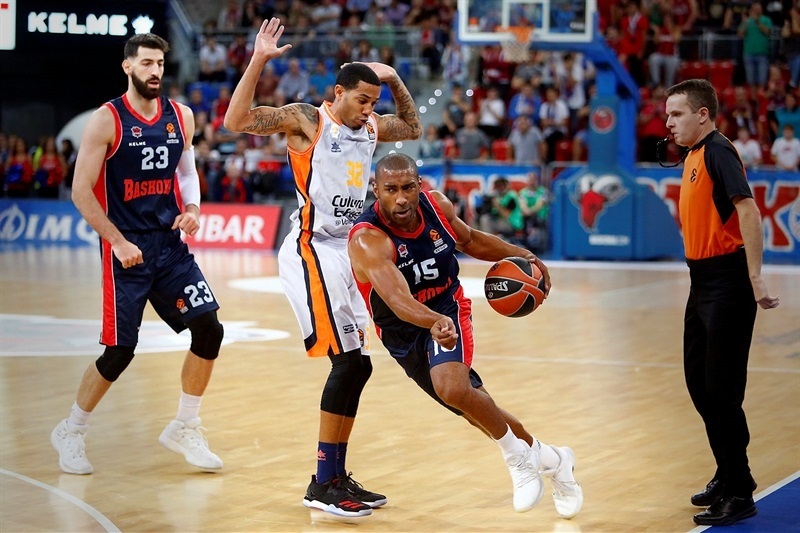 Toko Shengelia paced Baskonia with 22 points and 11 rebounds and Jayson Granger added 12 points and 9 assists for the hosts. Green and Dubljevic shined early to make it a double-digit game, 9-19, and an unstoppable Pleiss made it 15-33, early in the second quarter. 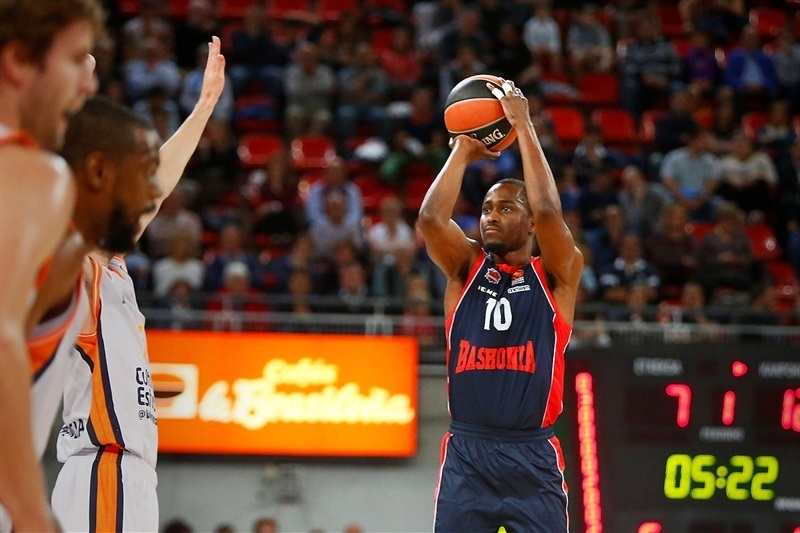 Granger and Rodrigue Beaubois rescued Baskonia and a dunk by Shengelia got the hosts within 39-50 at halftime. 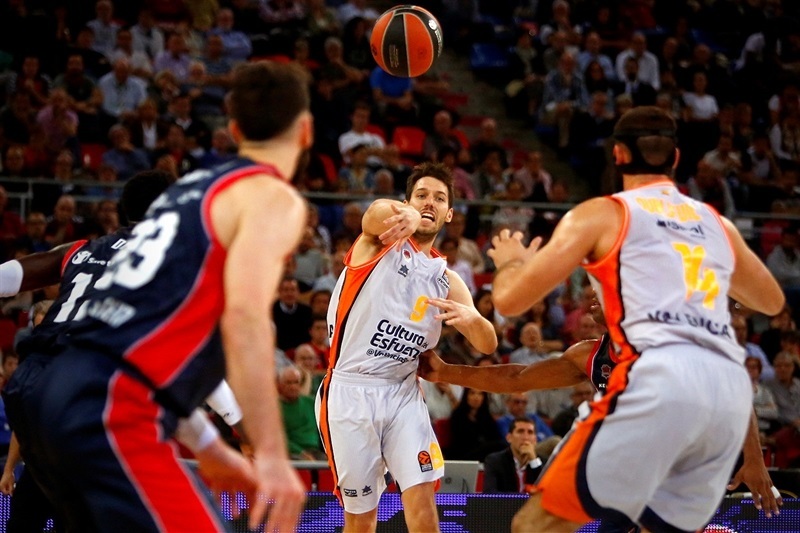 Baskonia rallied to within 46-50 after the break, but Abalde and Dubljevic stepped up for Valencia. The visitors led 54-67 after 30 minutes, extended it to 54-74 soon after that and never looked back. 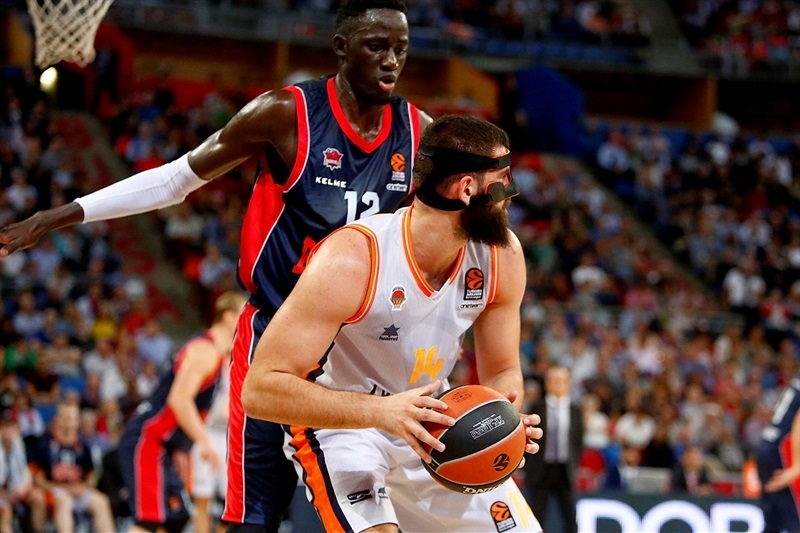 Ilimane Diop got Baskonia going with a layup and Janis Timma soon added a corner triple, but Green and Dubljevic pushed Valencia to a 7-8 lead. A jump hook by Dubljevic ignited a 2-11 run, which Aaron Doornekamp capped with a triple to make 9-19. 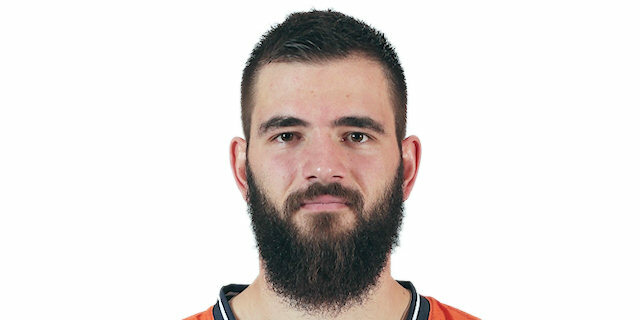 Luca Vildoza shined with a driving basket and Shengelia added a coast-to-coast layup, but Van Rosson hit a triple in transition and an outstanding Pleiss sparked the Valencia margin to 13-28 after 10 minutes. An alley-oop layup by Pleiss capped an 0-11 run. Beaubois took over with consecutive layups and Granger followed a triple with a fadeaway jumper to bring Baskonia within 26-37. Abalde and Guillem Vives rescued Valencia with back-to-back bombs from downtown, but Granger and Timma kept Baskonia within 33-46. Green shined with a coast-to-coast layup and Dubljevic added a turnaround jumper, but a fast break slam by Shengelia fixed the halftime score at 39-50. Shengelia followed a three-point play with a dunk in a 7-0 run that brought Baskonia back to life, 46-50, right after the break. Abalde rescued Valencia with a three-pointer and a jumper, getting help from Pleiss and Doornekamp to restore a 50-61 Valencia margin. Shengelia kept pushing Baskonia, but three-pointers by Martinez and Abalde gave the visitors a 54-67 advantage after 30 minutes. A jump hook by Dubljevic and a triple by Doornekamp broke the game open at 54-72 early in the fourth quarter. Valencia stayed effective on defense and started to use longer possessions. 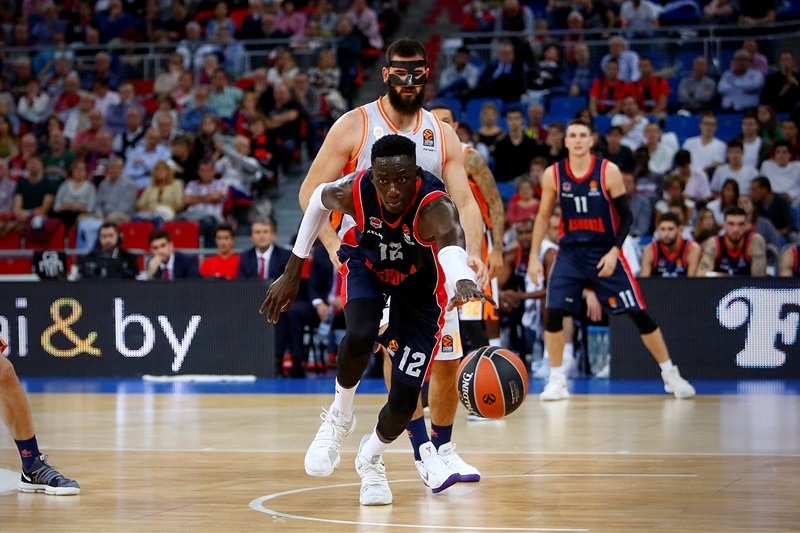 A three-point play by Pleiss sealed the outcome, 58-77, as Baskonia never recovered. 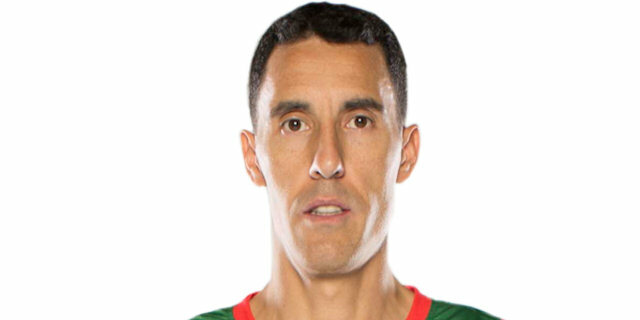 "I will not comment anything about the game, so I will go straight to Spanish. I am not going to continue coaching the team. To tell you the truth, I feel very frustrated for not being able meet my own expectations and mainly, the expectations the club had for me. I am apologizing to our fans, the president and the entire organization because I am not being able to help my players play good basketball, and that is what hurts the most. I feel very responsible for this and I don't want to damage the club or my players. I would rather leave the team to a different coach. I am sure they will find a qualified coach who can help this group of players get out of this situation. My coaching staff tried to stop my decision, but they know how I am. It hurts leaving the club in this situation and not matching its expectations, but I mainly feel bad because of my own expectations. I feel I am not able to improve the players individually and make them play good basketball collectively. This is the reality and our results are there. We can argue about a thousand things - a tough start, the calendar, injured players, but I don't like to use all those excuses. The truth is that the team is not in a good situation in the EuroLeague and it is soon enough for someone to step in and refresh their heads, take them out of this depression. I took the decision; there is no chance for me to stay. Once again, I apologize to the fans, who were excited about this project. I thank them for thinking I could do well, but I would rather leave soon so that the club has a margin to react, being early in the season. I haven't talked to the club yet, I am telling you first. I don't feel like carry on coaching the team, for all these reasons I just told you. It is a sad day for me but you get to learn when you are hit hard in life. I wish the players and the club to have someone more capable than me so that he finds the rhythm, as the club has a good group of players, someone with a different vision, a different energy to help them carry on." "We made a really good effort on defense during 40 minutes, getting the best results in the first quarter and during the second half. To win here, you have to do a great job and we did for 30 minutes on defense, also sharing the ball for 40 minutes. These were the keys to this big result, our first road win in this new EuroLeague, the second in a row. We are very happy. It is now very important to rest well. We have to do a good job recovering our players, especially because our roster is not full now. We are happy for this win and tomorrow we will think about the next game, not now." 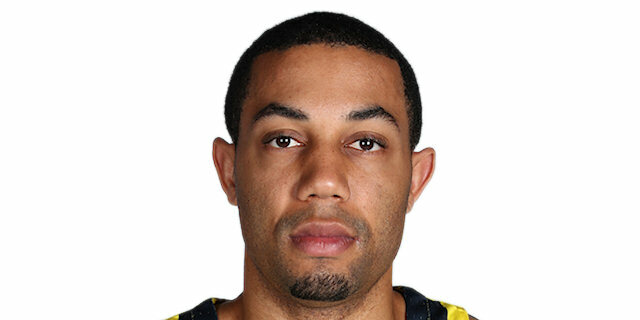 "This is one of the hardest courts in Europe and we know that Baskonia is one of the top clubs in the EuroLeague. For us, it was really important to win this game. I think we are in good shape now - congratulations to my team, because we did our job to win the game. 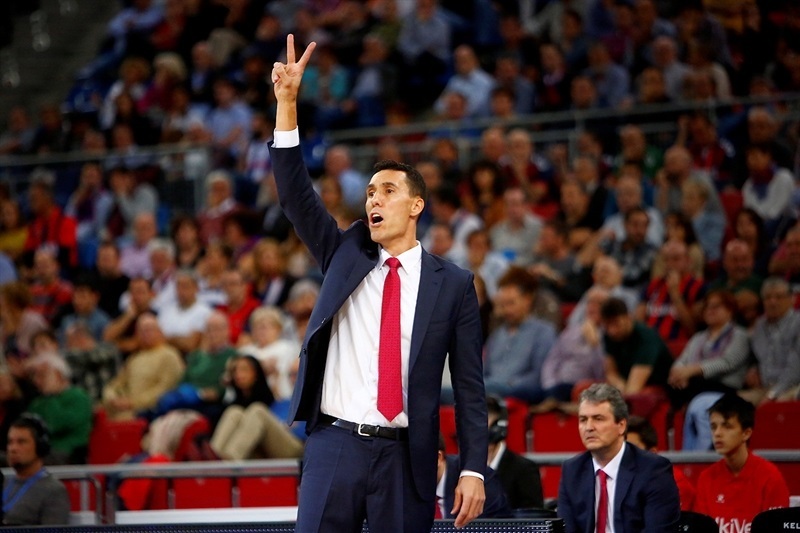 We now have a game against Unicaja on Friday and need to prepare for this one. We will not have a lot of time to prepare the game and of course, not a lot of time to rest, but this is the EuroLeague, a very hard competition. We want to prove we can compete against every team in the EuroLeague, so we need to be ready to Friday. 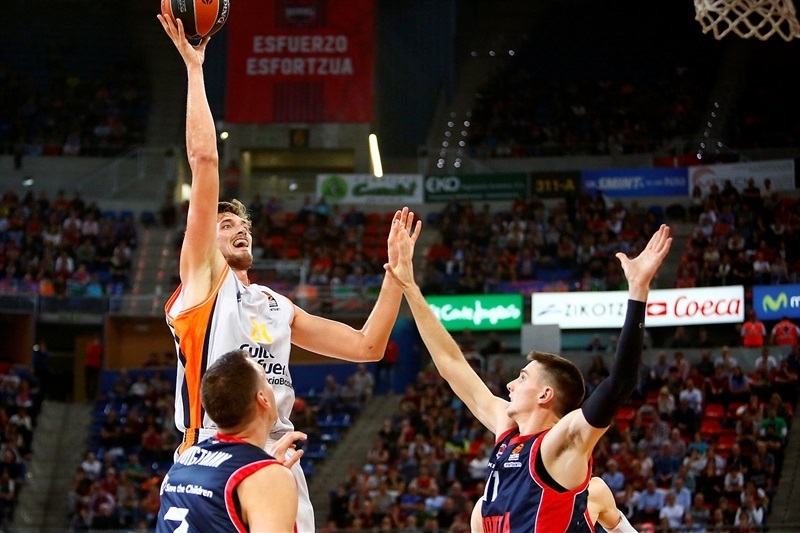 [Unicaja] beat us in the EuroCup Finals, but we beat them in the Spanish SuperCup. We play at home and need to give our best. 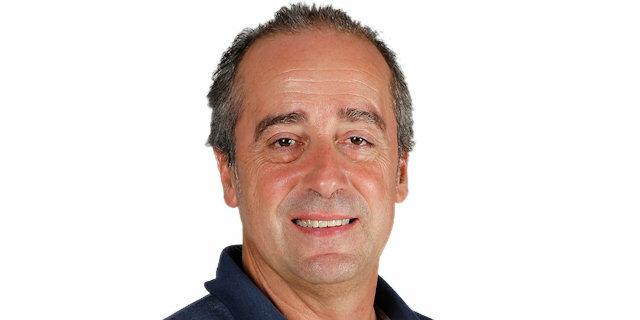 This is Valencia Basket and this team fights for every game." "It is a big win for our team. Tonight, we had different guys who stepped up and we played well as a team. We shared the ball well, got a lot of rebounds and defense, obviously, was the key. We had a nice run on the defensive end without them scoring and that is the key for our team - defense. I dislocated my finger, but it's alright. It hurts a little, but it is not broken, so I am happy about that."